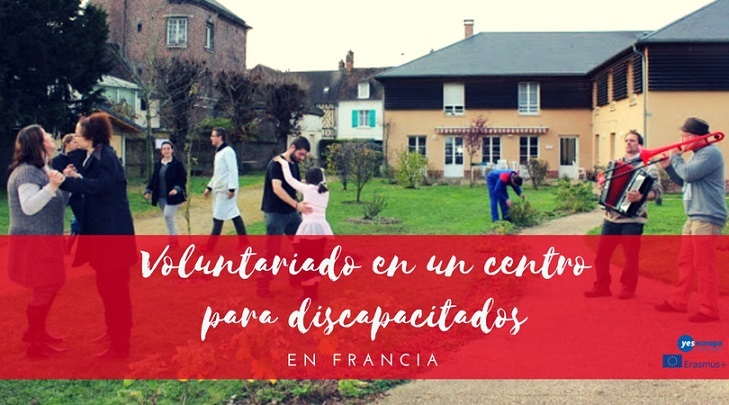 Si tienes motivación y ganas de ayudar a personas que lo necesitan, no pierdas la oportunidad de realizar este voluntariado en un centro para personas discapacitadas en Francia. Todos los gastos están cubiertos por el programa Erasmus+. Si te apetece ver otras oportunidades en Lituania, echa un vistazo aquí. Place: Beauvais and Compiègne, France. Dates: From September 2018 for 12 months. It is a non-profit organization affiliated to the Arche in France, created more than 50 years ago to provide mental disabled adults with a family environment and various types of activities. The Five Communities of the area are located in the county of “Oise”, in the north part of France. Each year, the organization welcomes and hosts 80 volunteers who live in their households, framing by employed staff. Some weeks, the volunteers work 6 days out of 7; some others : 4 days out of 7; the volunteers also have 5 weeks of vacation over the 12month period. All documents written in English you can attach below with subject “EVS France, Lucie. YOUR NAME. YOUR SURNAME” . Please, specify if you apply for the TV project or the New Media project.